Do I need a referral from my GP to see a chartered physiotherapist? 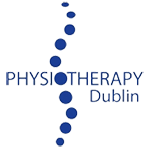 How many sessions of Physiotherapy will I need? What should I wear to my Physiotherapy appointment? Should I see my GP or a Chartered Physiotherapist? Do I have to stop playing sport while I’m having physiotherapy? Get active for your back’s sake. Health care practitioners have, for too long, been overly cautious with advice to their patients regarding return to exercise and activity following an episode of low back pain. General Practitioners and Chartered Physiotherapists alike often prescribed bed rest as a recommendation to individuals suffering with back pain. Thankfully, with improving scientific research and evidence of the effectiveness of exercise in the treatment and management of low back pain, this approach is changing. Back pain management is increasingly based around encouraging activity. Unfortunately, years and years of a message that you should go to bed and rest if you have a pain in your back is not easy to undo and so a disparity between current best medical practice and patient’s actual behaviour exists. It’s particularly difficult to get a message, that may appear counter-intuitive, across. So you’re asking me to exercise my painful back? The simple answer is Yes! It’s only counter-intuitive to do so because for years we’ve been giving the wrong advice. In the vast majority of cases of low back gentle aerobic exercise such as walking, jogging or swimming will not further harm the condition and will in fact aid its recovery. If you’re concerned about your back prior to commencing a new exercise programme, perhaps have an assessment of your condition with your Chartered Physiotherapist, but for the most part you can rest assured that for the majority of back complaints gentle aerobic exercise is to be encouraged. So the excuse that “you can’t because of your back” is no longer going to work!